You have probably noticed that hairstyles of male celebrities are constantly changing. Some celebrities were recently seen sporting longer hairstyles while others have decided to go for a more groomed look. In general, men’s hair has gotten quite a bit shorter, which probably is a good thing. A short hairstyle will flatter all types of hair textures and thickness. Do you have unruly cowlicks that drive you crazy? A short haircut will tame them and keep you closer to the sane side, hair-wise. Perhaps you have the “young professional” syndrome, and you’re looking to groom your style… but how? Try the more classic hairstyles, and although it doesn’t really sound much like a trend, it’s definitely back. Errol Flynn and James Dean were possessors of male celebrity hairstyles sought after in the past, and it can work for you, too. Medium-length hairstyles have a good degree of texture, which updates the classic look. Ask your barber to give you a bit more style in the way of razoring and texturizing. For your daily upkeep, a touch of product is recommended: TIGI Bed Head Stick is a fantastic stick of styling wax, providing a pliable great hold. If you want to go a little longer, steer clear of flowing locks. 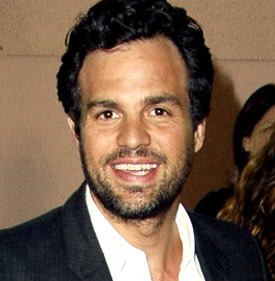 Instead, try an overgrown classic cut, which is popular celebrity hairstyle that Mark Ruffalo and Pierce Brosnan have been known to sport. If your hair is a bit overgrown, avoid any temptation to ignore it. Just because you’re not cutting the grass as often doesn’t mean you shouldn’t water it! Longer hairstyles need maintenance, so go for products such as a mousse (great for any hairstyle) like Jason’s All Natural. Another mousse to try is Quantum Sequence, weightless styling foam that will give some control without getting crunchy. In general, male celebrity hairstyles that are in right now include healthy, shiny hair that has a touch of texture near the ends, as well as asymmetric styles. Embrace your retro side with ‘50s and ‘60s haircuts. If you’re into color, forget the “sunkissed” look, and try to get your haircolor applied into larger sections. Forget your faux-hawk and move on to something updated! So you know what’s in, but you need to know more? If you’re still asking yourself how exactly the celebrity hairstyles look so darn good, it’s all about research. Well, first following your face shape is not just for women. It can change your look, get your dates, and get you a promotion. Men can have the following shapes: round, triangular, diamond, square, pear-shapes, oblong-rectangular, or a bit of a variation on the above. Face shape is the basis for hair styling, and deciding the proper hair cut, color, and style, while also helping to decisions for facial hair and sideburns. For square face shapes, any style that is cleanly cut around the ears and mirrors your square face. Matt Damon, for example, has a square-shaped face, so his hair looks best shorter, reminiscent of a flat-top, or a squared-off shape. Not all men, though, have a strictly square face shape. Called the “modified square” or “modified rectangular,” it calls for the same treatment as a classic squared shaped face. Celebrities who fall into this category include Hugh Lourie, Ben Affleck, and Charlie Sheen. For those who have rectangular or oblong face shapes, like Eminem, it’s often a challenge to disguise angular features and a longer face. Some tips to try include getting a layered cut, which will disguise your hairline, and sporting a little facial hair will help balance facial features. Dave Navarro has a signature beard, which helps to balance his features and disguise angularity. However, it’s recommended not to have so much length to the beard as Navarro has been known to wear—it simply emphasizes the length of the face. 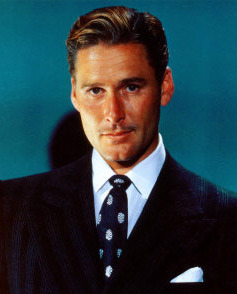 Men with round faces tend to be from older men or a bigger build. A classic round face could be that of Jack Black. It’s all about slenderizing and reducing, and to do that, try taking emphasis off of the center of the face. Keep your hairstyles shorter and hair closer to the face, and using product to add a little height to your hairstyle will also help. Triangular-shaped faces are pretty rare, but we can find one on the likes of Justin Timberlake. He’s a prefect example: he’s got wide cheekbones and a wider forehead, with an ever-so-slightly pointed chin. 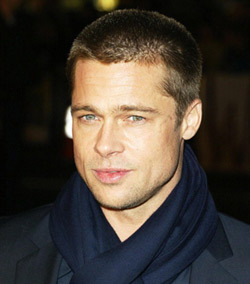 To flatter this shape, keep your hair cropped close to your head and fill out your jawline with flattering facial hair. Pear shaped faces are narrow at the top and wide at the bottom. Fuller hair at the crown and temples will help disguise the thinner parts of your face. The diamond shape is widest at the cheeks, with a pointed chin. This face type looks good with deep, full bangs. It will soften the sharper points on the face, while slimming wider cheeks. How do you know if you have a square head or not?